We're located on the 3rd floor of Snowden Library in the Academic Resource Center. We begin holding regular hours during the first week of each semester, beginning Wednesday at 10:30 AM. No appointment is necessary; just drop in with your assignment guidelines, a printed draft (if you've gotten that far), and your college ID. We can help you at any stage of the writing process. *In the case of inclement weather, the Writing Center will operate normally if the library remains open to students. 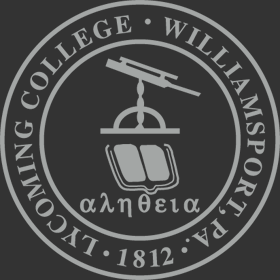 Good writers themselves, the writing tutors at Lycoming College have been trained to guide you through the writing process, from brainstorming to final revision. They do not take control of your work or [re]write your papers for you. They are not simply copy editors or grammar checkers. They are so much more! Take advantage of the friendly advice they can provide at every stage of your writing project. Writing tutors will not know exactly what the professor is looking for or how he/she will evaluate your paper. (Always bring your assignment guidelines!) Also, writing tutors cannot guarantee you a higher grade on a given assignment; their goal, however, is to help you develop as a writer. Come Prepared: Bring a printed draft (if you've gotten that far), your assignment guidelines, any relevant materials, a mental list of what you're concerned about, and your patience. Visit Reports: Every time you visit the Writing Center, we send a brief report to your professor to show that you are making an extra effort to succeed (unless you indicate that you do not want your professor to be notified). In order for the check-in/check-out process to occur smoothly, remember to bring your college ID. Word to the wise: Don't procrastinate on your writing projects! If you wait until the last possible minute to bring your paper to the Writing Center, you might not have enough turn-around time. Plus, we can get pretty busy at times. Are you struggling with a formal research paper? Seek out a model paper to guide you! You can read sample student research papers in Schemata: Student Essays Across the Curriculum.